I’ve used way too much of my life trying to dig through the source code of Google Web Fonts, looking for woff, eot, ttf and svg files for hosting one of the many beautiful fonts on my own server. Look no further! This tool does everything fast and correct. 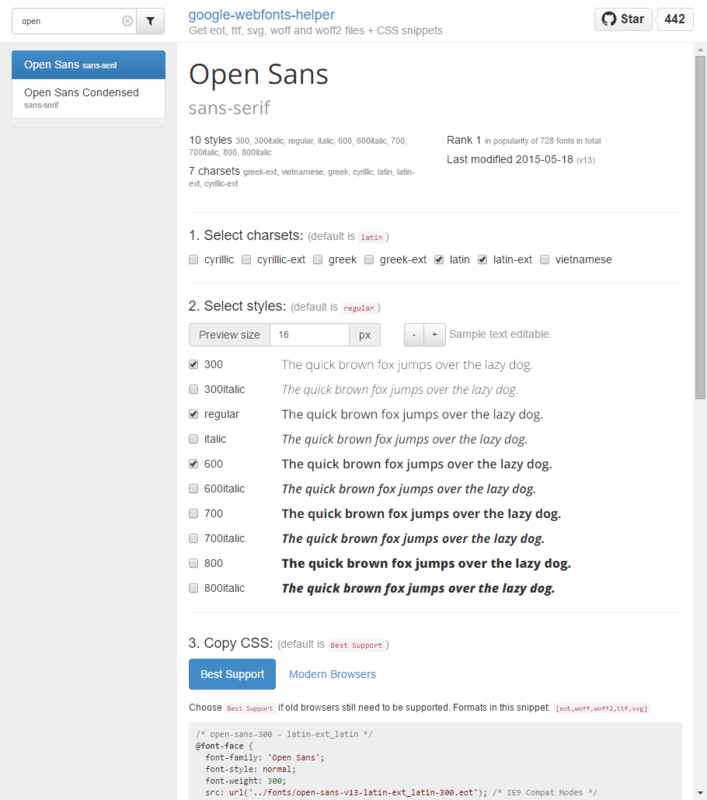 I needed Open Sans 300, 400 and 600 for an offline site and therefore needed to download the web fonts. In addition I needed latin-extended. This tool lets you select weights, extended characters and download everything as a nice zip file. In addition it generates the correct styles.